UK MPs to move on cycling while Irish TDs make passing references? It may be surprising to some Irish cyclists who deal with conditions on the ground, but Irish national cycle policy and the remit of the NTA are considered to be close to top class on a policy level or at least “years ahead of UK on cycling policy” — but campaigners here often complain about a lack of funding, timeline, or commitment. So, the question is: Will the UK overtake Ireland on policy? And will Irish TDs ever take cycling seriously enough to move beyond passing references to cycling in the Dail? For context, it’s worth noting that cycling is on the increase in Dublin and a limited number of locations, but it is near to static across most of the country and in decline in some locations. Political leadership: the Government should support the ambition for 10% of all trips to be by bike by 2025, and 25% by 2050. 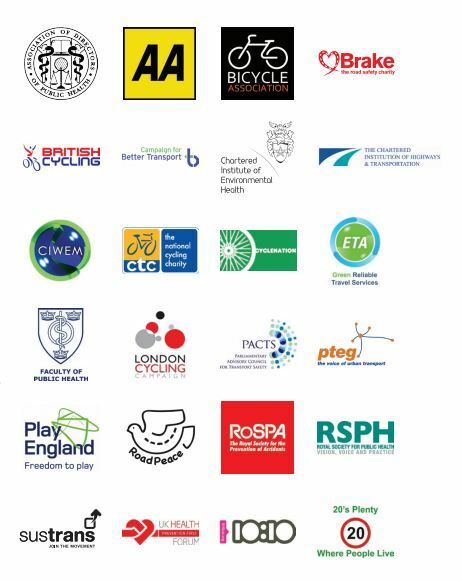 It should produce a crossdepartmental Cycling Action Plan, with resources committed from all Departments whose objectives it serves, including DH, DfE, DCMS, BIS and DECC. Investment: a long-term cycling budget of at least £10 per British citizen per year, increasing to £20, in line with more advanced EU countries and with the target percentage of trips. Legislation and regulation: a statutory duty to make high quality provision for cyclists, as in the Active Travel (Wales) Bill, and to design cycling into all road schemes. Improve official design guidance and update regulations to make cycling provision easier. Road safety and law enforcement: make 20 mph speed limits the norm where people live, work and shop. Improve HGV safety and limit use of HGVs on busy streets at the busiest times. Strengthen the enforcement of road traffic law, including speed limits, and ensure that driving offences – especially those resulting in death or injury – are treated sufficiently seriously by police, prosecutors and judges. Effectively, the UK AA has endorsed making “20 mph (30km/h) speed limits the norm where people live, work and shop”. This is in contrast to the Irish AA which — with others — battled against 30km/h in Dublin so much that there now seems to be a fear of expanding 30km/h anywhere expect outside schools or the odd other place. Has the Irish AA changed their stance since? Read the briefing for MPs or download the full Get Britain Cycling report.